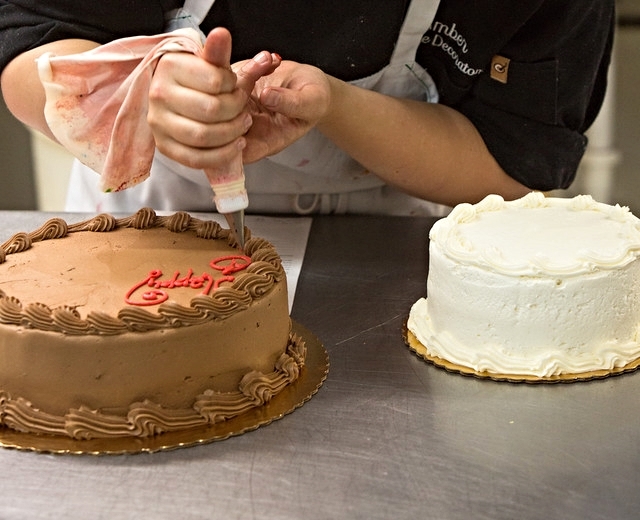 Our traditional cakes are prepared daily for special orders only. Please call us and place your order today for that special birthday or celebration! We customize every cake and are happy to work with you on your perfect vision! For a price list, please see our latest flyer, which you can download by clicking here. Fees are determined by the detail and size of the design. Please bring color samples and/or pictures for our cake decorator to follow. There may be times when slight alterations may be necessary due to artistic balance.